Havens Winery was founded in 1984 to celebrate Napa Valley’s diverse soils and microclimates and the amazing, though lesser-known grapes they nurture. Acquired by Smith-Anderson Wine Group in 2010, Havens expanded its repertoire of Cab Franc, Merlot, Syrah, and highly respected proprietary red blends, to include Cabernet Sauvignon and Chardonnay. The classic label remains the same, as does the exceptional quality of Havens wines. While we take pride in every step of the winemaking process, we are especially proud of recent admiration and accolades from respected giants of the world, including Wine Spectator, Robert Parker Wine Advocate, James Suckling, and Wine Enthusiast, as well as several best of class at the 2018 California State Fair Wine Competition. Our source vineyards now range throughout the Napa Valley from the high, hidden valleys tucked amid Howell and Diamond Mountains, to the breezy, rolling hills of Carneros, utilizing exceptional grapes from illustrious vineyards and their surroundings, such as Stagecoach Vineyard and Inglenook. 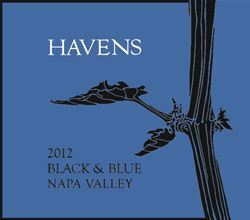 Though no longer on its original site along Hoffman Lane, true to its roots, Havens focus is creating exquisite red blends possessing elegant, balanced flavors that will reward you for tucking them in the cellar for a few years. These wines are currently available, along with other Smith-Anderson brands, at our Stonehedge Collection Tasting Room in downtown Napa. To join the wine club, visit www.havenswinery.com or call 707-257-1068. Le Joie de Vivre - Havens is one of the main Winery brands making up the Stonehedge Wine Collection. * 1 Year Anniversary receive one complementary bottle of ultra-premium top tier wine shipped to you at not charge. * 18 Month Anniversary received two bottles from our private collection in addition to your standard shipment. * 3 Year Anniversary receive a limited-edition three liter bottle to commemorate three years of Le Joie de Vivre. * 3 Shipments per year: February, May and October. * $20 per case shipping within California. * No sign up or cancellation fees. We offer 20% off to all Napa Valley Locals.